“You’ll have one,” Chaffetz said, within “a few hours,” after Comey testified that the FBI would need a referral for Congress before investigating. As Breitbart News detailed earlier this week, Clinton lied under oath to Congress in at least three ways: first, by stating that she had turned over “all my work related emails” from her private email server to the government; second, by insisting there was “nothing marked classified on my e-mails”; and third, by telling the committee that her attorneys “went through every single e-mail.” FBI director James Comey’s statement Tuesday suggested that none of those sworn statements were true. 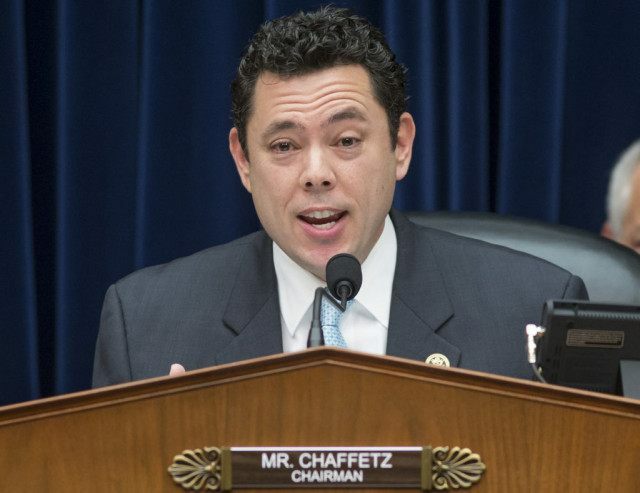 Chaffetz asked Comey whether he had reviewed Clinton’s testimony before the Benghazi committee as part of his inquiry. He said that he had not, but that he was aware of it. Chaffetz also asked Comey whether Clinton had lied to the FBI, and he said he did not have reason to believe she had done so. Earlier, there were suspicions that Clinton might have committed perjury if and when she had signed the standard exit form, OF-109, which all State Department employees must sign, indicating they have turned over all materials, classified and otherwise, to the government. Later, the State Department admitted that it had no record of her signed OF-109 form.